A blog can be a fantastic addition to your business, but if you don't know what you're doing, it will quickly become another regrettable item on your To Do List. How can we avoid this? To answer this question we need to find answer for another question; How Experts Run Their Blogs? Well, if you want to be the best you have to learn from the best. I didn't just go into this blog on a hope and a prayer. Part of that was carefully analyzing what the best bloggers are doing and seeing if there was a way to mimic it. I dedicated a folder in my Evernote to great posts and strategies related to growing a blog. And now I am sharing that with you. Warning: This post contains A LOT of links to great resources. Before you do anything, read these posts. They are some of the best out there on how to start a blog with a strategy. The last one even comes with a download pack! A blog is nothing without an active, content promotion strategy. I try to spend about 20% writing and 80% promoting. Creating Ultimate Resource Guides (Stuart) - Has anyone seen Stuart over at NicheHacks? Probably, because the guy is a master at content promotion and will be referenced a few more times in this post. By writing an Ultimate Guide To Blogging he was able to include a TON of bloggers in this epic round up post, and consequently, received a lot of engagement (70 comments) and shares (200+). I borrowed his idea and made the business equivalent in my Ultimate Business Resource Guide and got 100 shares myself in my first week! And let's not forget his post on 31 ways to promote your blog (which I have been using extensively). Another way to go about it is in the form of monthly round up posts like Jason, Matt, Lewis, and Tung do! Doing Everything "Wrong" (Ryan Deiss) - Sometimes we need to test our assumptions, and that's exactly what Ryan does here to grow his magazine blog to $6 million a month (yes dollars, not page views, yes a month). Connecting With Influencers (KissMetrics) - Connecting with influencers is at the core of blog promotion. 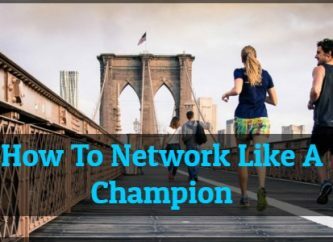 You can't do it alone, you have to network your way into other peoples' audiences. This has been my number one strategy since I started this blog three weeks ago. KissMetrics knows how to connect with influencers. They also know 25 tools that can help. Blogging Life Reports (Yeison and Sam) - One of the best ways to see what works is to consistently track one blog and their progress over time. Then you see the whole process. Thanks to Yeison and Sam we have something like that in their blogging life reports. Read these from start to finish and you will learn how they grow their blog to over 50k page views a month. Using Software Like Buzz Bundle (Matthew Woodward) - Of course Matt has a software answer to everything! His review of BuzzBundle shows where he spends the bulk of his time for content promotion. Oh, he also wrote this on the subject too! And here is a case study of getting 594k page views from it. SEO is one of those things that if done right from the beginning, can seriously grow your traffic (almost passively). However, if you wait until you're already in the thick of things - it will be a major headache ad consequent overhaul on your site. Luckily these two articles by Jason at Do SEO Yourself and Neil at Quick Sprout (which is similar to this post here) will tell you everything you need to know! Social Media is not just tweeting your article when it publishes. There are specific tactics that define a crisp SM strategy. 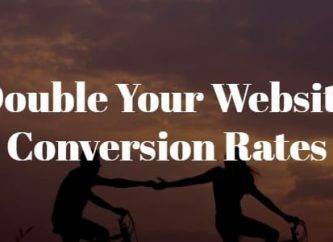 Targeted Traffic From StumbleUpon And Reddit (Neil and Sean) - Both Stumbleupon and Reddit have huge communities BUT those people have zero attention spans. They usually crash a blog for a matter of seconds. Thanks to Neil's post and Sean's post we now know how to crack the code and get the traffic we want from these sources. Shared The Most On Facebook (KissMetrics) - People love images, especially funny ones. Its clear that they are shared the most. Why not then create a bunch of memes relevant to your blog and schedule them on Hootsuite ? Steal Your Competitor's Facebook Fans (Neil ) - Yes, you can actually "steal" your competitors facebook fans as Neil shows us. But if that doesn't interest you, here are 10 quick changes that will bring about big results, also from Neil. Click Here To Tweet This (Pat) - I first got this idea from Pat. Just a nice, quick way to engage with people. 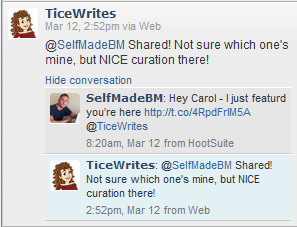 So I implemented ClickToTweet in my 101 Business Quotes post and got a lot of nice engagement! Twitter To Connect With Influencers (Stuart)- No article here but another great tactic by Stuart. If you include an influencer in a post, be sure to tweet at them! Steal Your Competitor's Twitter Followers (Neil ) - Neil knows all about stealing people's social media it seems. Now he shows you on Twitter. Additionally, once you have them, he shows you what gets shared the most. Social Locker For More Shares (Matthew Woodward) - Another tactic I got from MW. Hide some bonus content in a post and cover it with the social locker plugin. You can see my stats on the back end for extra shares. Many people have a newsletter but few utilize it to its full potential. It's about what extra can you provide as an incentive to not only sign up but also to continue opening. Immediate Follow Up (Sean Ogle) - At a minimum you want to engage with your new sign ups through a follow up series. Sean does this brilliantly by simply asking for "one thing you struggle with". See below for a direct quote. "I want you to email me right now, and tell me what your biggest struggle is at the moment. What are you working towards or trying to change, but having a difficult time with? Really, hit reply right now and let me know. While I can't reply to everyone, I personally read every single one of these emails." By engaging with his sign ups right out of the gate, Sean shows that you matter, and builds a relationship from the start. Personal Voicemail (John Dumas) - I was absolutely blown away when, upon joining John's email, he sent me an audio recording/greeting. I can't imagine he does this for every sign up, then again I don't want to appear to sound special. The best part of it is just how much it fits with this theme (daily podcasting). Even if it isn't personal, it's a brilliant idea to have a follow up series audio clip. Blogging Bootcamp (Chris Ducker) - Chris's newsletter starts with 7 day bootcamp that walks you through business of blogging such as setting up your blog, youtube videos, ebooks, podcasting, and more. It's the perfect teaser to get people to sign up AND it must be great for affiliate sales and engagement. Pre Launch Subscriber List (Sumitha) - Man I wish I had thought of this one. Sumitha shows us how she got 1300 subscribers for her blog before it was even launched, simply by utilizing landing pages and guest posting. Who said guest posting was dead again? I have seen this recommended here and here, so you know it's legit. Sticky Widget (Matthew Woodward) - Another steal from MW! This free plugin allows you to make your widgets sticky. I use it with the newsletter so it follows you down as you read the article. 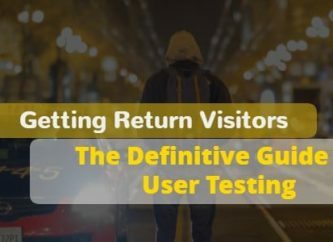 And for more on how to convert visitors into subscribers, this excellent post at KissMetrics and this post by Alex at Groove spill the beans! Of course none of this is complete without context around how the bloggers make their blogs successful. I was able to get a few quotes from bloggers who are actually earning money on how they do it. I attribute my blogging success to multiple things. When I first started out blogging, I didn't really know what I was doing. I made mistakes and I learned how to improve my blogging along the way. I learned what worked and didn't work for me, and I always try to "keep it real" in my articles, and not sound or behave like a robot. Also, I am always trying to put myself out there and network as much as I can. If a networking opportunity ever arises, I always say YES! I would attribute the success of Pinch of Yum to the fact that my husband and I are able to use our complimentary skills to create a system that is optimized for both quality, engaging, genuine content and smart monetization. My skills are writing, cooking, photography, and persistence with posting. His skills are SEO, site maintenance, and other tech support. We have more recently enlisted the help of a team of people so that we can start to let go of some of the responsibilities like social media, site submissions, and basic food prep. Basically I think we've recognized what we're good at and what we're not good at and tried to build systems that allow us to do more of what we're good at and bring together people to help us where we're lacking. A successful blog is not the kind of thing that can be built and maintained by one person - for us, a team mentality has been a big part of our long-term success. We would attribute our blogging success to a combination of a few things. First, hard work and persistence. Blogging is not easy and people don't come knocking on your door the first 6 months or even year when you blog. It's a competitive world out there in the blogging community and you really need to show that you're different and that comes with time and lots of hard work. We studied other successful blogs to see what they did and how they made themselves stand out among the pack and we always made sure to write high quality information so that people would choose to read our blog over another website for information and advice. All you can do is provide the best information you can and people will start recognizing it and word will spread. Over time opportunities will appear and more doors will open once people recognize your skill and potential. In terms of blogging success I know that my $300 - $500 a month is a drop in the ocean compared to the big guys like Pat Flynn or John Lee Dumas. But I also know that there are countless other bloggers who would love to be earning what I do from their blogs. I started by connecting with other successful bloggers within my niche (travel). Commenting on their blogs and forming a relationship with them allows you to ask them more personal questions about their site and find out how they are currently making their money. In travel blogging, the money comes from direct advertising. So it is important to remember who you are writing for. As well as making your posts interesting for your readers you should also be showing how you can market potential products or brands for advertisers. I recommend starting by reviewing hotels you've stayed at on your previous travels or any products or websites that you currently use. Finally make sure you add a touch of personality to your blog. When I first started I was afraid to add a picture of myself. Blogging about your life can be intimidating and I understand why people don't do this. But speaking from experience I can say that the positives heavily out weigh any negatives. By following these steps I now regularly receive emails from different advertisers looking for ways that they can work with my site. Once an advertiser is on board it's important that you offer them a professional service if you hope to receive any repeat business. Because of my published income reports, I do get a lot of emails from bloggers asking pretty much the same question. Why is their site not successful? So I go over and take a look. While there are exceptions, some blogs seem to be more like a diary of the personal life and personal preferences and opinions of the blogger themselves. If you want to publish an online diary and make it all about you, then of course you can and you can enjoy doing it. You can happily cover your site in photos of your children, pets, where you just went on vacation, and the paintings your child just did at nursery, the card they made you for Mother’s Day. That content and those memories are priceless to you. But if you make your site all about you, it’s so personal that the only people who will be interested in following along will be people who know you. If you want to make your blog into your business, then it can no longer be about you. It needs to be about your readers, who will be your customers and will generate the income you are looking for. While I still like to maintain my own personality on the site and write in my own voice, I do carefully consider my topics and try to create content that is useful, interesting and evergreen. Content that people will want to read and share. Earning from a blog is a numbers game so you need to have a broad appeal while still staying within your chosen niche, and engage those readers, turning them into regular followers. Give them great content to keep them coming back, encourage them to follow you and sign up for your newsletter, keep them clicking on your genuine recommendations, keep them pinning and sharing and over time, success will follow. The first word for this will be "CURIOSITY". First of all we wanted to find blogs who do make money on-line. And after we've found them (blog of Dave and Vicky was one of them), we began to follow after their reports and learned a lot. paypal. But our curiosity and willing to know and to learn new things, didn't let us to stop on the first success. The more we learn and listen to other bloggers, the more we see how limitless are the possibilities to earn money online. The second word would be "COOPERATION". This is the real power of the Internet, And we were surprised to see how willingly other bloggers collaborate with us,especially travel-bloggers. We would not be successful in making money online without their help and collaboration. The third word would be "PERSISTENCE". We never stop learning and expanding our little online empire. Today almost every dollar that we earn on-line we reinvest into growing our online business. With hope that one day it will be earning more then we spend on it. What are some expert tactics you love?